Want an adobe reader for android to read PDF files? There are many good android PDF reader apps available in Google play. We have shortlisted some of the best PDF reader apps for you to conveniently read any ebook. With increasing use of online mode for getting work done at business places, the need for keeping documents safe and protected from any external influence is on the rise. PDF or portable document format is one such format that allows files to remain as it is. So, the use of a reader that can recognize such files has gone up. Viewing the growing demand many Android phones have embedded PDF reader as a useful application to make it convenient to refer to any document easily. 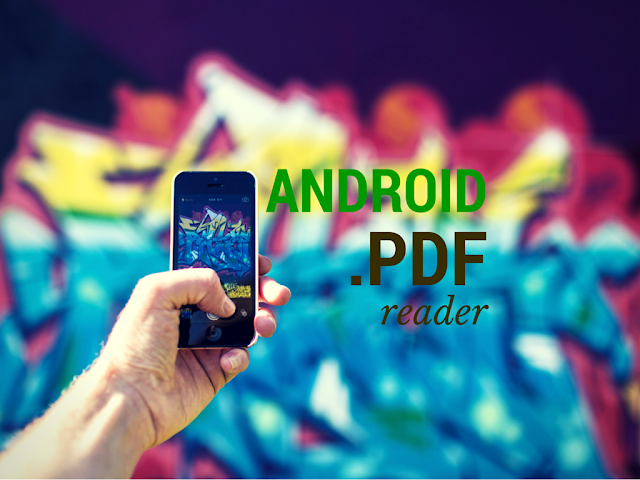 There are many Android eReader apps, however this article focus on Adobe PDF format file reader only. This is a popular website to get across some useful apps that Android users use every now and then. The site offers apps from Google store for accessing PDF documents easily and conveniently which earlier was a problem with many phones that used to suffer from compatibility issues. This is a popular app that can be downloaded easily from Google store in order to access any PDF document easily in one’s mobile phone. It offers tremendous convenience in terms of accessibility from any place. It is considered to be one of the versatile apps from Google store that makes it easy to conduct day to day tasks easily. It offers features like document scanning, editing and finally sharing for further usage. This is considered to be a one stop point for getting across some of the most frequently used apps while handling day to day documents. PDF reader as an app is a useful tool that enables users with Android device to view PDF's from any remote place. It is a popular tool for keeping documents safe from any form of pilferage that may occur while transferring them from one person to another. PDF files do not open on any conventional file readers.Hence, ezPDF allows users to download this app on their phones so that they can access PDF's with ease. This is a tool developed by Microsoft for meeting daily office needs. PDF reader app has been made available in almost every smart device, including Android, thereby removing hindrances of viewing the ubiquitous PDF files, while on the go. This is a unique feature offered by the versatile search engine Google for better management of office documents. Here one can store and share important documents with ample space for storage, creation, editing and viewing of PDF's. It's offered under Google cloud service program for the user's convenience. This is a great place to get download some of the most useful and frequently used Android apps. Among the other apps, ebook reader and PDF reader needs a special mention as it is quite convenient for Android users to download important documents and ebooks in PDF format. With growing use of internet by mobile users, reading and downloading online resources has become common. In this respect, PDF readers are important applications as several documents now are PDF. Hence, downloading this app proves to be useful for mobile Android users. This is a quite popular site for users for getting hold of some of the best office management tools. Among other tools which can be used offline, PDF reader offered by them is great, and it has a host of features too. The internet offers access to resources from various fields. The resources as shared are mainly in the form of PDF documents so that the contents are secure and clear to read. PDF and ebook reader by 'mtcross' has additonal fb2 & DJVU viewers as well for Android users. PDF reader is an important document editing tool that is quite frequently used by users accessing online resources. The website offers a PDF reader app that can run on any form of smart device, including Android mobile and tablets. PDF is a popular file format that is extensively used to share documents on the internet. However it is something that does not open with any document reader. Easy PDF reader makes it convenient to handle PDF documents like other word documents while optimizing its content, images and graphs for mobile devices. On the internet, resources are shared in different file formats as per convenience and security involved. Thus quite often, it becomes difficult for users to handle such wide variety of files as a particular reader may not suit the other. Universal book reader app for Android is a possible solution to all these issues as it is capable in handling files in any format, including PDF for mobiles. Internet usage has increased the tendencies for young people with Android devices, to study online and in a paperless manner. In this respect, resources are available in e-files in PDF that can be downloaded for reading and reference. PDF reader Pro is a popular application often used to access resources saved in PDF format. Resources over the Internet are mostly shared in PDF so that those are not tampered or changed in any manner, while keeping the originality intact. In this respect, PDF reader from Xodo PDF is a popular Android app in smart devices, to access online resources easily and conveniently. Ebook reader is a requirement of most online users in order to gain access to online resources. The ebooks are mainly embedded in PDF format and needs a suitable reader to unfold the contents inside. So, eBook Reader by 'ebooks.com' provide readers with an easy to use PDF app. With the growing dependability on online tools for office management and execution of day to day activities, the familiarization with PDF format has become mandatory in order to work smoothly. WPS office and PDF tools is considered to be a great aid towards achieving the same. Radaee PDF is another PDF reader application for online access to PDF documents as per requirement. This app is a great necessity as there's an ever increasing need for downloading online resources saved as PDF, for better productivity at the workplace. This is a popular site for users working online, as it offers great document editing tools for daily tasks at the workplace. The website’s free PDF reader for Android allows users to read PDF files swiftly. PDF readers are considered to be the most downloaded applications on web as most documents on the web is embedded in PDF format for security reasons. The site is known to be the popular destination for reading DJVU and PDF files on Android and other smart devices, so that the documents can be accessed with ease. Every document or content on web is shared in a way so that users get the original format without facing any form of tampering. In this respect, the documents are safest when those are saved in PDF format. The site offers free PDF reader for Android so that users can view them at any point of time. PDF Max Free - #1 PDF Reader! PDF format files are considered to be one of the most useful tools for cloud computing. Most of the online documents are listed as PDF files so that the documents are retained in their original form. The site offers free PDF reader Android as a useful app to keep in one’s smartphone device. The site provides Android PDF reader and viewer for easy management of documents. This is considered to be of great use as it embeds the PDF reader in the form of a plug-in right into the document viewer so that one can access PDF files with great ease without actually installing the reader. PDF reader Android is a necessary app to manage documents efficiently. Document reading and editing is a necessary activity followed in these days of online revolution. PDF reader is one such online application that is in use every now and then. The site provides PDF reader for Android and other devices so that day to day work activities are done properly. Online revolution has largely been reflected in the form of paperless activity that has been introduced in every workplace. For online sharing and collaboration, PDF reader is an essential application. The site is a one stop point to download PDF reader for Android so that one's work can get transferred to an Android device, without losing the quality or integrity of work. Bluefirereader is a popular PDF reader among online users for rendering document management activities with ease. This is also available in the form of an useful app for use in Android devices so that the convenience is increased manifold in terms of flexibility and mobility of documents in the workplace. This is considered as one of the popular PDF ebook readers for Android. It is available for easy download online and provides easy management of files in PDF format. It enables reading ebooks quite easily, thereby promoting paperless initiative for a safe environment. With growing dependence on online resources, there is an increasing need for tools that ensures easy management of documents in various formats at the workplace in a proper manner. Fullreader is one such versatile application for Android that enables easy access to files embedded in different file formats without the necessity of using separate tools for different file types. Adobe reader is the most popular and versatile PDF reader for Android and PCs. It is considered to be the most innovative creation from Adobe Labs. It allows PDF files to be viewed, edited to a certain extent and what's more, navigating pages with this app is effortless. Internet usage has largely increased due to increased computer literacy. Now every work, however small or large it may be gets done online. Android is now the most popular mobile as well as tablet platform. PDF format on the other hand, is probably the most pleasing, secure and versatile format to read and view images. PDF is hence used as the preferred document format for most organizations, also as the bost popullar ebook reader for reading novels, children's books or scholarly works. Book lovers and corporates alike use their mobiles for reading work or recreational documents. Hence, the need to have a dedicated PDF viewer for Android is immense. The above mentioned sites offer you the best PDF reader apps for Android.